You can all spend the day riding the waves, then gather around the fire to relax and relive the day when evening comes. You could even bring hot dogs and marshmallows and have a cookout. It’s a sure thing that everyone will be hungry after the day’s activities. The lure of fire roasted eats will be most appreciated. 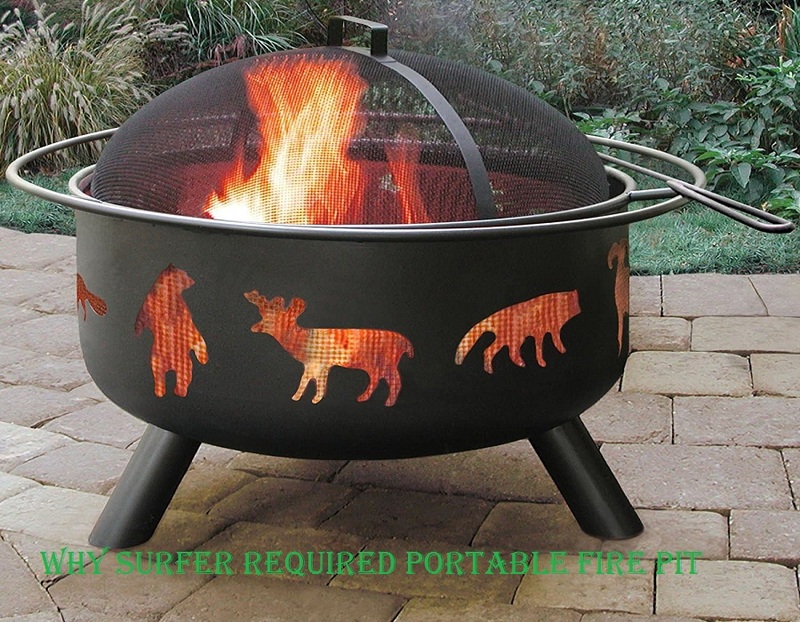 Be sure to get a fire pit that’s portable to take with you to the beach. There are some pits that require a hole in the ground to place them in. Although it is easy to dig a hole in the sand, you will have an easier time setting up your pit if you choose a stand-alone unit. You may need to seek out a camping equipment specialty store if there are no portable units available at your usual stores. If they don’t stock the exact type of pit you’re searching for, they may be able to recommend other stores to you. In some states, especially during the summer months, you’re not allowed to bring firewood to a park. The reason for that law is to keep from having non-native bugs and other pests being introduced into the local ecosystem. Instead of packing wood in your car, just buy firewood when you get to your destination. That way you won’t have to be concerned with any regulations concerning firewood. You will also allow yourself more room to pack in your vehicle for the trip. Before you plan to bring a fire pit on your next surfing expedition, make sure you check the local regulations. There are some beaches where fires of any kind are not allowed. Others only allow small fires if they are in an enclosed pit. If you can’t have a fire on the beach, you still may be able to build a fire in the park where you’re spending the night. You should always make sure to obey all posted rules for each area as well as using common sense when fires are allowed. The fire should never be unattended. Don’t burn anything besides wood in the fire. Trash should never be burned as there is no way of knowing what sort of toxic chemicals might be released into the air. If you follow basic fire safety tips, you will have a fun and safe time with your fire pit.